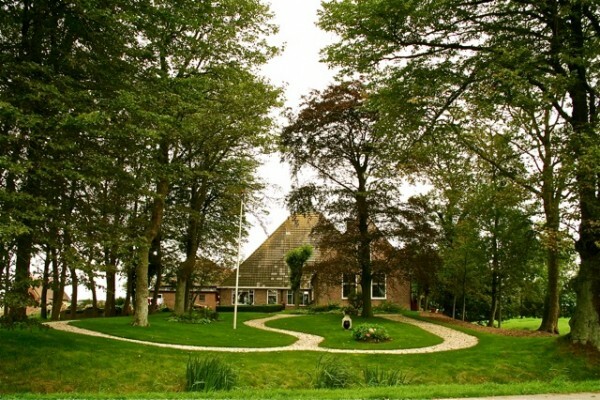 On the edge of the small village of Aalsum nearby Dokkum, the northernmost city of the Netherlands, the monumental farm of the Terpstra family dominates the countryside. The ‘pronkkamer’, today the main living room still contains its beamed ceiling, originally painted closet doors and a mantelpiece with gilded ornaments. The garden is authentic as well and was designed by Lucas Roodbaard, a famous nineteenth century garden architect who laid out many English landscape gardens in the region. The farm is still fully operational. The farm house is surrounded by old elm, lime and chestnut trees. From the terrace one has a wonderful view at the surrounding countryside that invite a stroll. This can be done on foot, by bike or even on horseback. The farm is located at the Metslawiersterweg, about 2.5 km (ca. 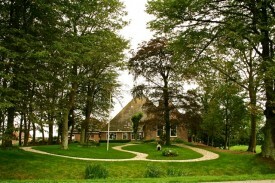 1.5 miles) from Dokkum in the direction of Wetzens/Niawier. No experiences yet with De Bolstienpleats. Be the first! Did you stay in De Bolstienpleats? Let us know what you thought about it and help others to make the right choice! * I confirm having stayed in De Bolstienpleats. 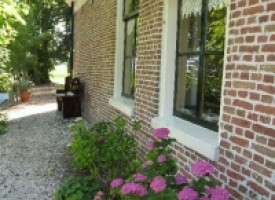 Find other bed & breakfasts in Dongeradeel or all bed & breakfasts in Friesland.